These Organic Bramley Apple Trees are available in both moderately vigorous and semi-dwarfing forms and the name Bramley is probably the most well known of culinary apples - celebrating 200 years in 2010. The original Bramley apple tree is still growing in Nottinghamshire and although we can't promise your maiden tree will last that long, we can do our best - your trees are sustainably grown on a Soil Association organically certified specialist nursery and are supplied complete with siting, planting and training information and advice. 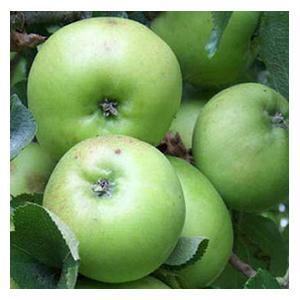 Bramley is a triploid variety so will not pollinate others, so bear this in mind if planting other apples. Usually seen in the shops as bright green, but will develop a nice red flush on their sun exposed side. 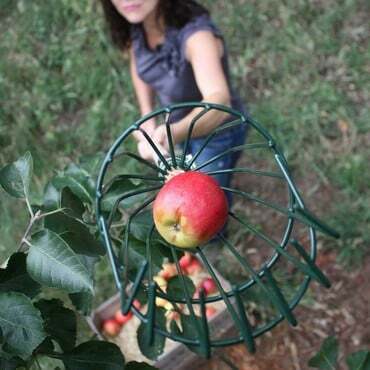 Organic Bramley Apple Trees are despatched in bare-root form between November and March.